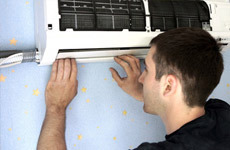 NEED AIR CON MAINTENANCE IN CUMBRIA? To help ensure your heating and cooling systems are working as efficiently as possible for you, contact Penguin Air Conditioning for air con and air source heating maintenance in Cumbria and South West Scotland. We also offer fast and efficient refrigeration and cold room maintenance to ensure your business can run as smoothly as possible. Contact us to arrange a visit. 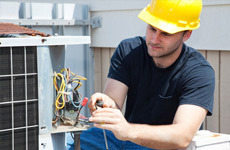 As part of the comprehensive maintenance services from Penguin Air Conditioning, we supply and service all major brands. To ensure your machine is kept in the best order, we also offer maintenance contracts. For further details, please do not hesitate to contact us today. Penguin Air Conditioning Limited, registered as a limited company in England and Wales under company number: 05718596. Registered Company Address: Milburn House, 3 Oxford Street, Workington, Cumbria, CA14 2AL.